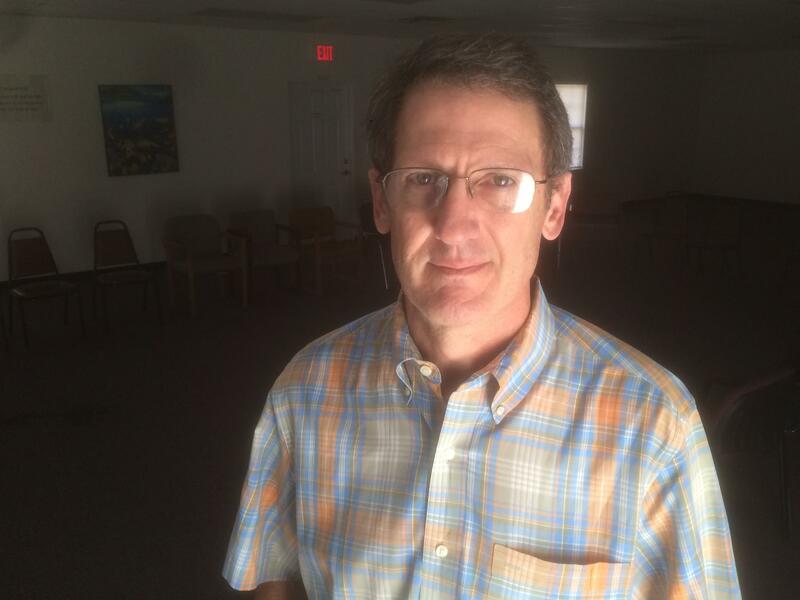 Addiction counselor John Fisher says prescriptions for medicines to help people wean themselves from opioid drugs are part of the appeal of the clinic he operates in Blountville, Tenn.
Suboxone is an opioid-replacement drug that can reduce cravings and symptoms of withdrawal. These medicines, brand-name forms of buprenorphine, can ease withdrawal symptoms and cravings for opiates. They can be prescribed in an office setting, unlike methadone. And the drugs, also mild narcotics, can block the pleasurable effects of opioids if people fall off the wagon and take them, which can help reduce relapses. "I use the medication as fishing bait," says John Fisher, a self-taught counselor who runs Addiction Recovery Center of East Tennessee in rural Blountville. The sign out front says the clinic specializes in "addictionology." "We bring them in and try to taper them over time," Fisher says, adding that no one comes truly seeking treatment. They're looking for legal access to drugs. "One hundred percent of them are," he says. "No one comes to sit in a group and hear the 'Kumbaya' story. So that's fine." Fisher's clinic has arrangements with two doctors who are able to prescribe buprenorphine to the patients. The treatment center isn't licensed like a typical outpatient rehab facility. The physicians in charge say they haven't seen the need. The clinic, located in a Civil War-era cabin on a winding highway in northeast Tennessee, has roughly 120 patients. They are charged $500 for five weeks — cash only. The office doesn't accept insurance, citing the burdens of red tape and the fact that few patients have coverage anyway. Clinic participants must attend weekly group meetings with Fisher, who is a recovered addict himself. He says two decades on drugs were all the training he needed to do this work. Clients are told to get off any other illegal drugs, such as heroin or methamphetamine. The clients are tested for drug use during treatment and can be dismissed from the program if they regularly show signs of using something other than what they were prescribed. Some patients stick around clinics for years. This one has just a handful of stories in which addicts weaned themselves completely, says Dr. Mack Hicks, who writes many of the prescriptions. "You get this relationship built with them where they're just really legit drug dealers in a sense, in my eyes," says Heather Williams of Johnson City, Tenn. She has been clean for 11 months, after going through a cold-turkey program at a licensed drug treatment facility. But she spent a year and a half and $300 a month at a clinic that wasn't licensed. Ironically, buprenorphine itself can become a drug of abuse. And the medicine has street value. To pay for treatments, Williams says many people sell half their buprenorphine pills to get the money for the next doctor's visit. She's skeptical about the motives at some of the clinics. "The relationship that I had with my doctor, it's just really a money racket for some of them," Williams says. "I think somewhere they might have started out caring about your well-being and whether you're getting better or not. But he would go on vacation numerous times and show us pictures of him being in the Caribbean Islands, and I'm sitting there thinking the whole time, 'I'm helping fund this.' "
The local district attorney wants these kinds of operations reined in, but there's not much he can do without changing state law. And the need for treatment is growing. "If someone wanted to shut them all down — all the Suboxone clinics ... what do you think that would do in terms of all the people that are addicted? You know that's not going to cure the problem," Hicks says. Hicks is a former pain pill user, too. He got clean in the mid-'90s by going to an expensive inpatient treatment program that stepped him down off drugs in just a matter of days, though counseling continued for months. Most people in this part of Appalachia can't afford to take that much time off from work and get that kind of care, though Hicks says that approach would be ideal. "They've got to keep working some way," Hicks says. "The only way to do that is by giving them a substitute like we do." Drug-replacement therapy is a standard course of treatment for people hooked on opioids. But getting on Subutex or a similar drug isn't a silver bullet for pregnant women trying to minimize the drug dependency of their unborn child. In Tennessee, which has seen a spike in births of drug-dependent babies in recent years, nearly three-quarters of all cases this year involved a woman who had a legal prescription. "The babies withdraw just like an adult would," says Tiffany Hall of Jonesborough, who gave birth to drug-dependent twins this year. Hall was a nurse who worked in the neonatal intensive care unit and took care of babies with neonatal abstinence syndrome, the technical name for drug withdrawals. Hall knew better. But she had a drug problem herself. And the NICU is where her twins spent the first weeks of life this summer. "You stand there and you watch your own child go through something you're not willing or wanting to go through yourself, and you have to stand there and watch that, knowing that you did that to them," she says. "It's awful." Tennessee has a relatively new and controversial law that allows drug-using mothers to be prosecuted for giving birth to a drug-dependent child. But any mother who has a prescription for the drugs in her system is safe, no matter what kind of doctor prescribed the medication. "I ended up going to a Subutex clinic, and I thought, I'm OK now. I have a legal prescription. If the babies withdraw, it's all right because it's legal," Hall says. "Still wasn't thinking about anybody but myself." Hall got into a fully licensed program run by the nonprofit Families Free, which is focused on helping mothers kick their drug addiction. She's headed toward recovery and rebuilding her life, though she points out that there are less scrupulous clinics everywhere, including a stone's throw from the Families Free office in Johnson City. But she accepts the temptation those clinics represent, since that's what every day will be like after treatment. "I like having it there," Hall says. "For me, it's accountability. Yes, it would be easy to go next door and come up with some kind of story to get whatever I may want, but I have to be able to hold myself accountable and say no. I'm done with that. I don't want to do that anymore." This is the third and final story in a series that was produced by All Things Considered in collaboration with Nashville Public Radio reporter Blake Farmer. We're going to explore a big loophole in a controversial new law. In Tennessee, mothers can be charged with a crime if their babies are born dependent on drugs. The crime is called fetal assault. We've been reporting on it all week. But here's the loophole. Anybody taking these drugs with a doctor's prescription cannot be charged, no matter where the prescription comes from. And it turns out, it is really easy to get a prescription. 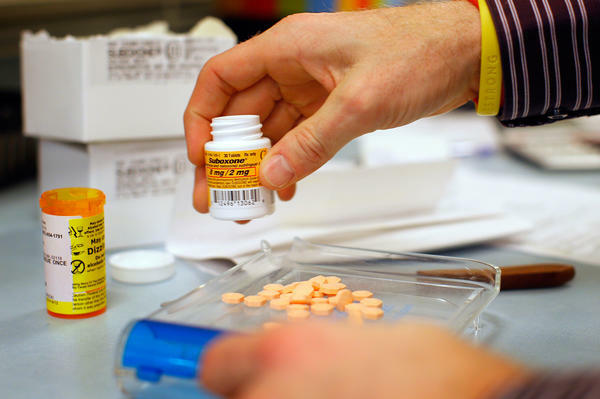 BLAKE FARMER, BYLINE: Yep, parts of the state are full of clinics that people call pill mills. SHAPIRO: That's Blake Farmer of member station WPLN, my reporting partner on this project. And, Blake, explain what you mean by pill mills. FARMER: Well, that's what law enforcement calls them. And they're actually referring to two different kinds of things. First, there are so-called pain clinics where people can go, say they have back pain and get a prescription for a powerful drug like OxyContin. And then there are so-called treatment clinics which offer to help people addicted to those powerful drugs. They prescribe drugs like Suboxone and Subutex, which are a standard treatment for addiction. Those drugs are used to manage withdrawal symptoms, but they can also be abused. SHAPIRO: And you visited one of those treatment clinics. Describe this place for us. FARMER: OK. We're in far, rural, Northeast Tennessee. It's this Civil War-era cabin. On the front, you've got two doctors' names and the word addictionology. SHAPIRO: Wait. Is that actually a word? FARMER: You know, I'd never heard it, but I looked it up. It is a word. So this place - it's next to a DMV. And all of a sudden, a guy walks out from behind the building. He says, well, there's John. And that's how I met John Fisher, who runs the clinic. A bit to my surprise, he welcomed me in, even with my recorder going. So are you a licensed counselor or something like that? JOHN FISHER: No, no. I spent 20 years perfecting the skill of addiction and consequences and 24 years in recovery. And all I'm taking is what I learned on both sides of the fence. That's why I can relate to anybody that walks in here and understand where they're coming from. SHAPIRO: Blake, explain exactly what goes on here at this clinic. FARMER: Well, this clinic advertises itself as a treatment center, and there are two doctors who work here. John Fisher told me they try to treat people's addictions with drugs like Subutex and Suboxone. But breaking an addiction like this can take months, maybe years. And in the meantime, places like this can make a lot of money. Today, Fisher's making coffee for a group therapy session that's about to start. He requires everybody who gets prescriptions here to attend these regular meetings. He spills the coffee. FARMER: His hands shake as he cleans up the water. He admits he's nervous because his business model sounds suspicious. People pay $500 for a five-week prescription. And this is a really poor area, so some patients turn around and resell part of their dosage on the street to make money for the next round at a clinic. Do you take insurance here? FISHER: Because most of them do not have insurance. FARMER: It's so interesting to me that just straight out, you admit it. Our appeal to them is that they can get a prescription here. FISHER: Yeah. So I use the medication as fishing bait. What I do is bring them in, and we taper them over a period of time. FARMER: And what of folks who look at this, whether they're right or wrong, and say, well, you'll just have your little business going here, and you're selling drugs? FISHER: Exactly. That's what we hear. I invite them to come sit. I've even sent letters out, invited local officials. Come sit in group. FARMER: The doctors who actually write the prescriptions were not there when I visited, so I followed up with one of them a few days later. Dr. Mack Hicks told me he understands why people would be weary of his clinic, but he defended his work, saying he's just trying to help addicts. MACK HICKS: If someone wanted to shut them all down, all the Suboxone clinics, all the Methadone clinics, what do you think that would do in terms of all the people that are addicted? You know, that's not going to cure the problem. FARMER: Now, folks at this clinic say they try not to take pregnant women as patients, but other places like this do. Tiffany Hall learned this firsthand. She was a nurse in a neonatal intensive care unit. She treated babies with drug dependency. And then she gave birth to twins who went through the very same thing. Turns out Tiffany was an addict herself. TIFFANY HALL: The babies withdrawal just like an adult would. You stand there, and you watch your own child go through something you're not willing or wanting to go through yourself. And you have to stand there and watch it knowing that you did that to them. And it's awful. FARMER: When Tiffany got pregnant, she was addicted to OxyContin. She was smart enough to know that she could go to jail if her babies were born dependent. So she went to a place like the one I visited. HALL: I ended up going to a Subutex clinic. And I thought, I'm OK now that I'm on Subutex. I have a legal prescription. If the babies withdraw, it's all right because it's legal - still wasn't thinking about anybody but myself. SHAPIRO: Blake Farmer, you and I spent a week researching this law in Tennessee. And this just seems like a huge loophole. I mean, the law prosecutes mothers for using drugs during pregnancy but not if they're using them with a doctor's prescription, no matter where the prescription comes from. FARMER: Exactly. And nearly three quarters of the babies that are being born with drug withdrawal symptoms are born to women with a doctor's prescription. So it's a real hurdle to try to solve this problem with a law like this one in Tennessee. And, Ari, as you know, this is just one of the complicated reasons prescription drug abuse has become this epidemic in parts of the country. SHAPIRO: Blake, how are pregnant women or anyone, for that matter - how are they supposed to get clean when prescriptions are so widely available? FARMER: I know. I wondered the same thing. Tiffany Hall, well, she's now going through a cold turkey program called Families Free. We stood outside the counseling center as she smoked a cigarette. HALL: I think that's a pill mill next door - yeah, pretty sure. FARMER: What is it like that there is a place next door that you know you could walk in right now and get a prescription? HALL: For me, it's accountability. Yes, it would be easy to go next door and come up with some kind of story to get whatever I may want, but I have to be able to hold myself accountable and say no, I'm done with that. I don't want to do that anymore. So I like having it there. SHAPIRO: Blake, you and I met so many women in Tennessee who were facing jail for using drugs without a prescription while pregnant. Is anyone facing punishment for prescribing these drugs so widely, including to pregnant women? FARMER: Well, no is the short answer. But the same district attorney who really pushed for this fetal assault law also wants to see tougher laws regulating what he calls pill mills. And the state's already begun tracking doctors who prescribe more than their fair share of high-powered narcotics. But very few get in trouble because, frankly, what they're doing is legal, even if it sounds a little fishy. SHAPIRO: That's Blake Farmer from member station WPLN in Nashville. Great working with you. FARMER: The pleasure is mine. Transcript provided by NPR, Copyright NPR.